Debt is too high and has reached, as it did in 2008, exhaustion levels. Perhaps the central banks of the world can “goose” markets higher and sustain a dangerous system, but the consequence will be falling currencies, devaluation, and more debt. There is a limit to how many heroin fixes a body can withstand. There is a limit to how many debt fixes an economy can absorb. Silver prices are too low based on five decades of history and via comparisons to national debt, the S&P 500 Index and gold. Expect silver prices to rise far higher in coming years as the over-leveraged financial system resets and rebalances. COT Silver Report - April 12, 2019. 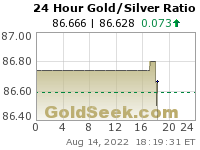 There were several developments last week that taken together suggest that the short-term bearish scenario set out in the Gold and Silver Interim update about a week ago is not going to materialize and instead that the original grander scenario described in the last full Silver Market update is going to prevail. This is a relief because any further downside would have ruined the giant positive pattern completing on the long-term charts, especially that completing in gold. What are these developments? There were 3 main ones. 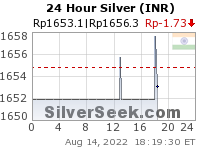 The first is that last week a run of bullish long-tailed candlesticks appeared on silver’s chart, which we can see to advantage on its 1-month chart below. 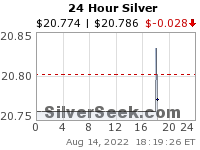 They are bullish because they indicate that the market is rejecting lower prices and show that buyers were snapping at silver whenever it dipped. This past week was also characterized by a run of dojis (open and close almost at the same price), which is a sign of indecision and is bullish if they occur after a significant drop, which they did. In addition there were two distinctly bullish candlesticks last week, a bull hammer on Tuesday and a dragonfly on Thursday. A fog lifted from the silver market last week and we could see things clearly that we had only guessed at. A former commissioner of the Commodity Futures Trading Commission (CFTC), Bart Chilton, sat for an interview with blogger Chris Marcus to discuss silver market shenanigans. Mr. Chilton was a commissioner from 2007 to 2014. The interview got interesting when he began to discuss the failure of Bear Stearns in 2008. They held a large short position in silver along with JPMorgan who took over Bear Stearns’ short position at the time. A recent interview with former CFTC Commissioner Bart Chilton nearly knocked me off my feet because it confirmed what I have alleged, starting more than 12 years ago. I’ll include the interview later, but first I will set the background of the subject and timeline in order put Chilton’s words into the proper perspective. 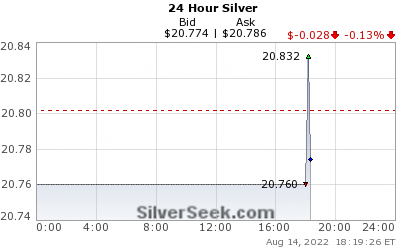 The subject is JPMorgan’s manipulation of the silver market. The timeline is important because Chilton does misstate some facts that need to be corrected. I’m not a big fan of articles that include lots of links to past articles, but in this case it’s unavoidable. Shortly after Bart Chilton took office as a commissioner in August 2007, he began to make public speeches in which he asserted that the CFTC was no regulatory pushover, like Barney Fife on the “Andy Griffith Show” but more like Elliot Ness or James Bond and that the agency was a tough cop on the beat. I assumed Chilton was genuine in his faith in the agency, but since he was brand new to commodity regulation I was sure that he was unaware of my allegations to the agency over the prior 20 years about a silver manipulation due to a concentrated short position on the COMEX. So I wrote to him..
COT Silver Report - March 29, 2019. 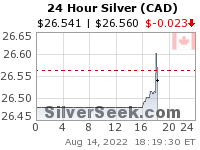 The major silver miners have rallied higher on balance in recent months, enjoying a young upleg. That’s a welcome change after they suffered a miserable 2018. 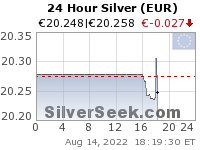 Times are tough for silver miners, since silver’s prices have languished near extreme lows relative to gold. 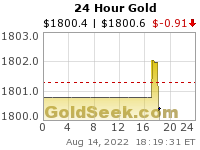 That has forced many traditional silver miners to increasingly diversify into gold. The major silver miners’ recently-released Q4’18 results illuminate their struggles. Four times a year publicly-traded companies release treasure troves of valuable information in the form of quarterly reports. Required by the US Securities and Exchange Commission, these 10-Qs and 10-Ks contain the best fundamental data available to traders. They dispel all the sentiment distortions inevitably surrounding prevailing stock-price levels, revealing corporations’ underlying hard fundamental realities. While the demand for precious metals is certainly off its highs from prior years, investors would be quite surprised by the astonishing amount of physical gold and silver investment since the 2008 financial crisis. Only by comparing the gold and silver investment demand in the prior decade, can we truly understand how the precious metals market has changed, and probably forever. 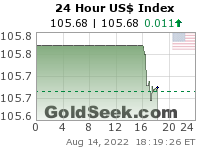 Now, before I get into the information, I wanted to say a few things about precious metals sentiment and the disillusionment, and at times, the outright disgust, by a percentage of former gold and silver investors. I am not going to name any names, but rather focus on the inability of these individuals to CONNECT THE DOTS in regards to the disintegrating Global Financial Ponzi Scheme. 1-Hour | 24-Hour | More..